Thanks to a little help from the Penn Club of Seattle, at least one person will be able to transition from the streets to a job in the hospitality industry. 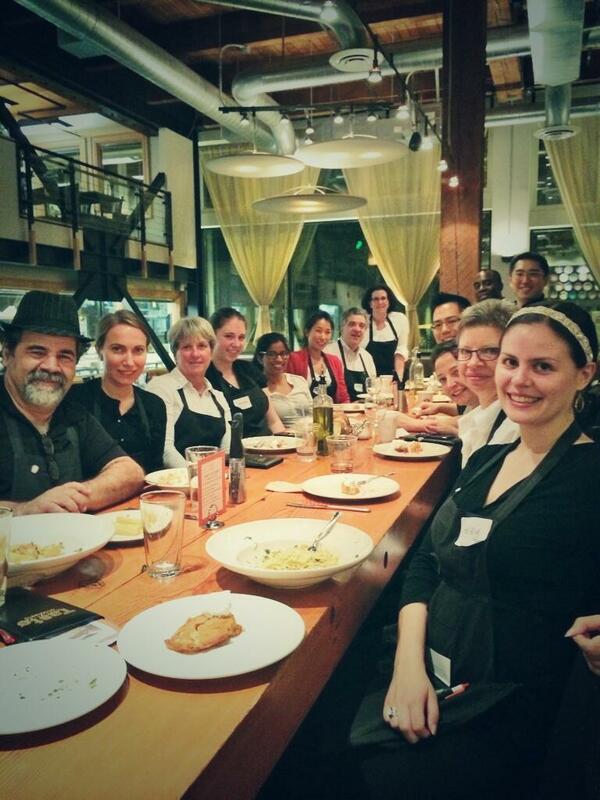 It was all part of Guest Chef Night at FareStart, a culinary job training and placement program for homeless individuals in Seattle. 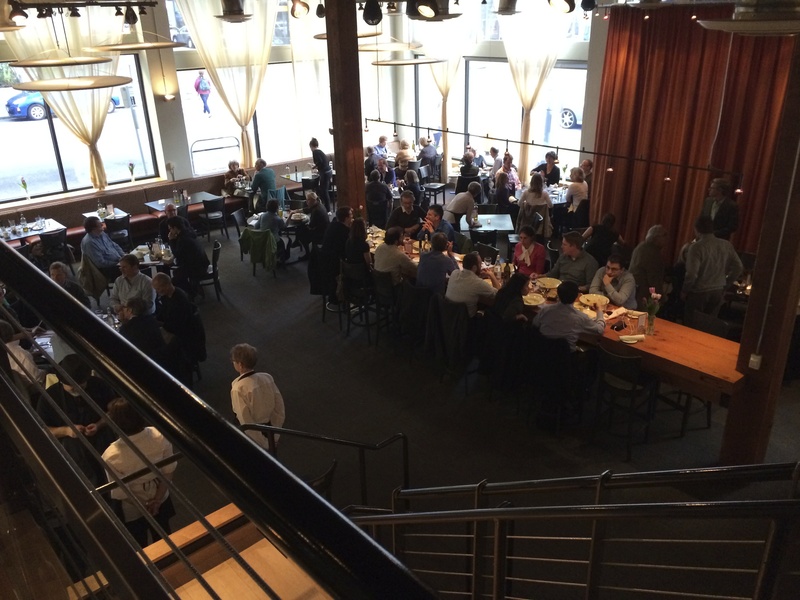 Since 1992, FareStart has provided opportunities for nearly 7,000 people to transform their lives, while also serving more than 6 million meals to disadvantaged men, women, and children. 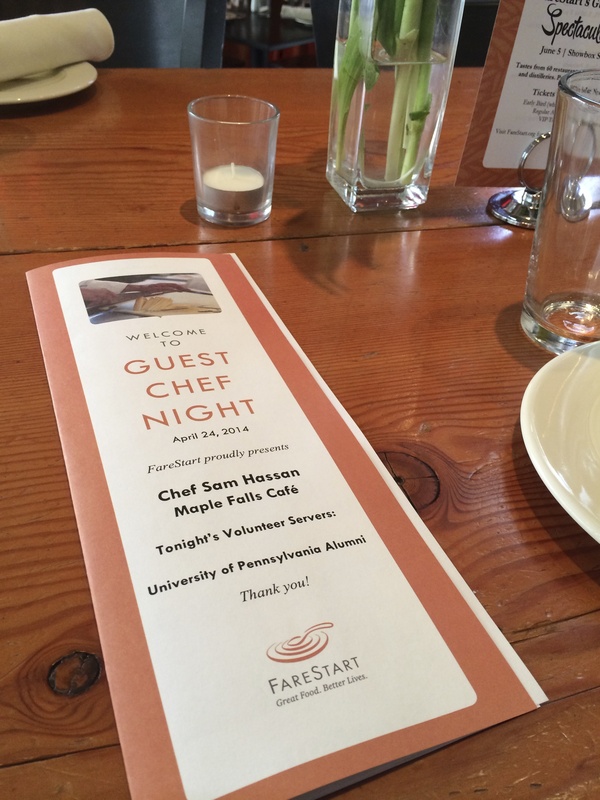 The tables are set for FareStart’s Guest Chef Night, with Penn Alumni Club of Seattle members as guest servers. Each Thursday evening, prominent guest chefs come to work with the students as part of their 16-week food-service program. 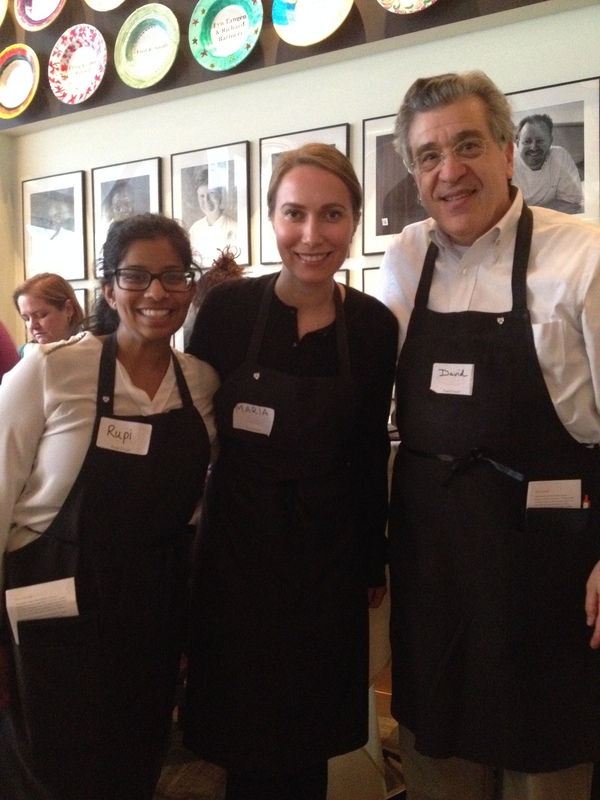 The three-course meal is served by volunteers, which is where Penn alumni came in. Chef Sam Hassan explains the evening’s menu. 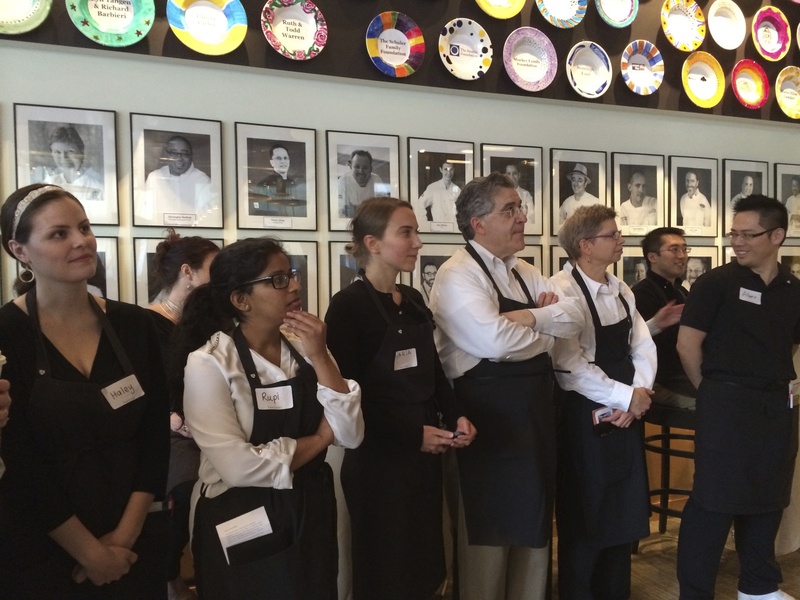 Although none in the group had any restaurant experience to speak of, on April 24 we got a crash course in the art of serving, learning the importance of checking back within two bites, refilling waters regularly (and not touching the rim of the glass! ), and how to properly carry a tray. 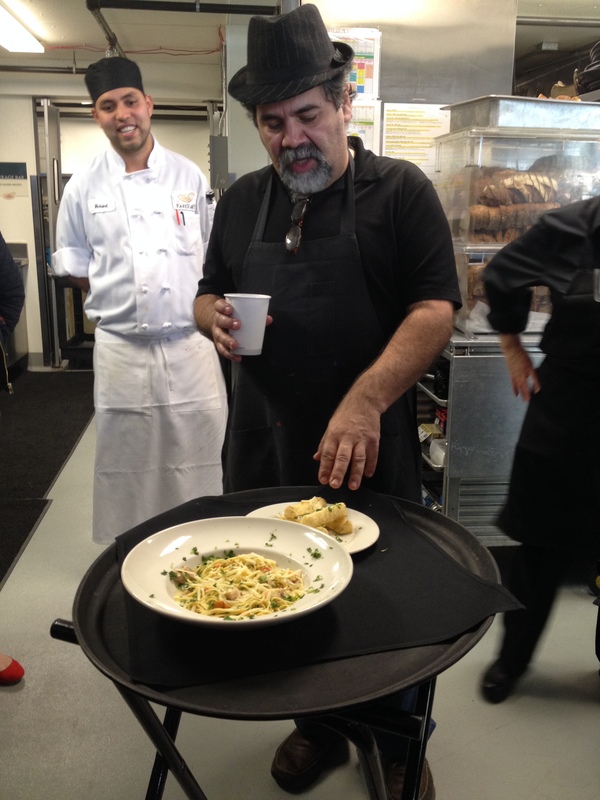 Chef Sam Hassan of Maple Falls Cafe provided a tasting of the Mandioca Frita, NW by SE Pasta, and Mango Raspberry Cobbler beforehand so that we’d be able to answer questions about the ingredients when guests inquired (Just what is yuca? Ask us; we know!). 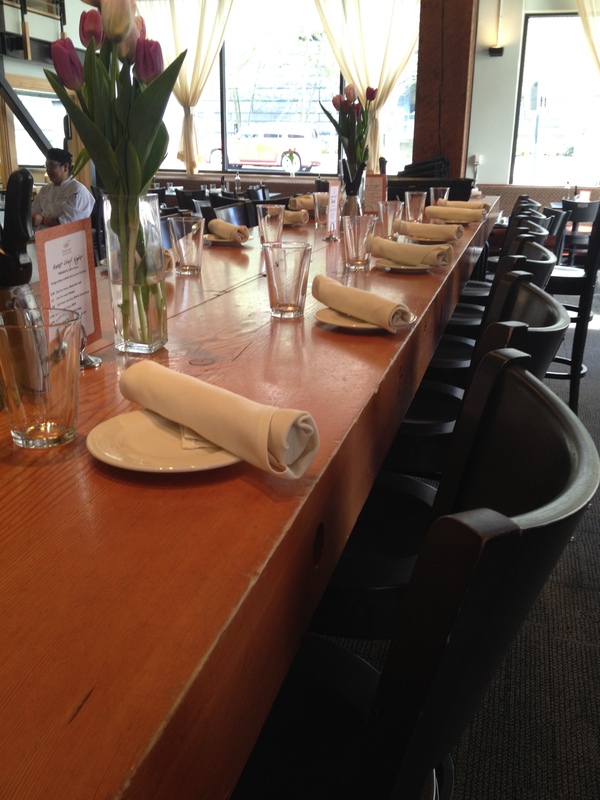 The featured servers tonight – the Penn Club of Seattle! Six hours, countless pitchers of water, and a few cramped fingers later, we’d served 169 diners, raising a total of $7,116 for FareStart’s training programs, including donations of $181 and tips of $1,327. All in all, it’s more than enough to give one student safe housing, the full 16-week culinary program, and comprehensive wrap-around services. The program has a 90 percent job placement rate within three months for students after graduation, and each Guest Chef Night includes a graduation ceremony with those who’ve completed the 16-week program successfully. On our night, we watched two grads get ready to move on to the next stage of their lives, including Tina, who didn’t miss a single day. “It’s made me stay focused instead of every day wondering what’s going to happen,” she said. Rupi Sureshkumar, Maria Seredina, and David Blum watch the graduation festivities. Bellies full of delectable ingredients like shaved Parmigiano, smoked fish, and Chantilly cream, we scattered into the night back to our respective homes — energized by the experience and humbled by the fact that we made a contribution, however small, to the students being able to have homes to return to as well. Penn alumni enjoy a hard-earned meal at the end of the evening.